Following up on recent work on state-specific lane splitting like the posts on lane splitting in the state of Washington, I’ve just completed two posts on lane splitting in Nevada. Background piece with details on current specifics on laws regarding lane sharing in Nevada. Information on AB236, a bill that would legalize lane splitting in Nevada. 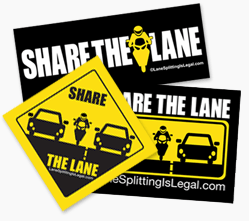 More information on lane splitting / lane sharing in Nevada to follow – stay tuned for updates.